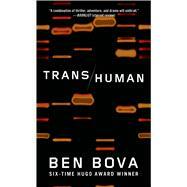 BEN BOVA is a six-time winner of the Hugo Award, a former editor of Analog, former editorial director of Omni, and a past president of both the National Space Society and the Science Fiction Writers of America. Bova is the author of more than a hundred works of science fact and fiction, most recently Power Play, Farside, and New Earth. He lives in Florida.